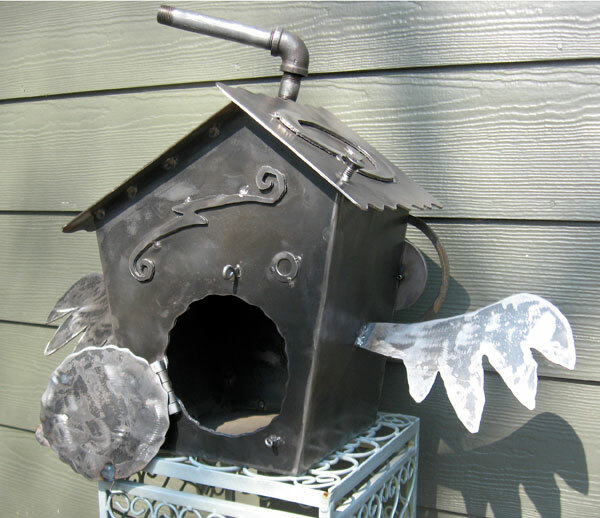 Here is the latest birdhouse sculpture. This is No. 3 of 5 in this series. This piece is big and brawny and can hold its own against the elements. It is made from recycled steel and other unwanted metals. On the back is a door to access the inside - just in case you have to clean out a old nest! Or, if you just want a secret place to hide something. This particular sculpture is part of a silent auction for the Lee's Summit Educational Foundation.